Bestel Wonder voordelig bij de grootste kinderboekwinkel van Nederland. Levertijd 1 dag. 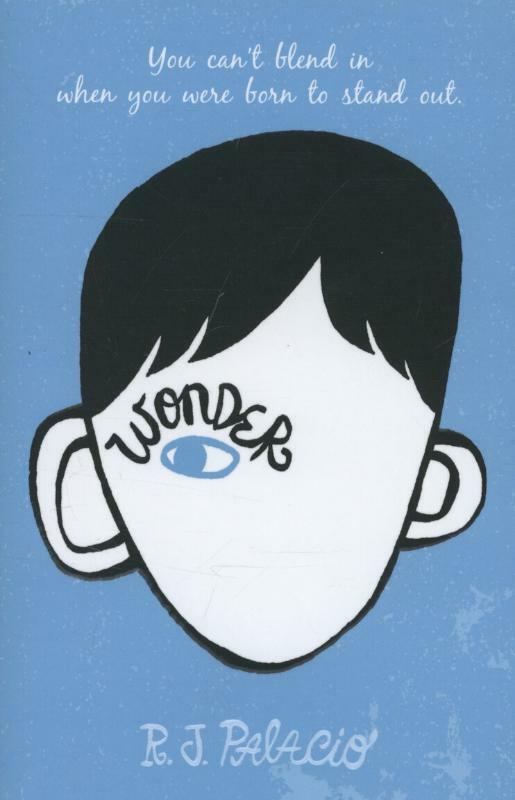 Wonder is a novel written by celebrated children's writer rj palacio. August or auggie is a young ten-year-old boy who has been born with an incredible facial abnormality. He is a normal young kid who eats ice cream and plays on his xbox but his abnormality drives other children away on roads and on playgrounds. Owing to his abnormality, his parents have him homeschooled till the age of ten. But now auggie must go to school, a real one at that, with other children. August dreads his first day in school and the book talks about his trials and trepidations. The book is a children's book that can be enjoyed in one sitting. Like most children's books the language is simple and palacio creates a mark with his debut children's book in the genre. Palacio's language is simple and easy to understand. The story is gripping and very touching. About a boy with a facial abnormality the book can touch the chords of many and is selling like hot cakes. The book talks about august's interactions with his parents, other children and about how he faces school despite his abnormality. The book can be read by children upwards the age of ten and is recommended by teachers for parents to read to their children. It creates in children a compassion for those who are less fortunate and talks about the normalcy that is innate in us and that makes us human despite our differences. The book was published by rhuk in 2013 and is available in paperback. Key features:the book is written in lucid and clear language and is easy to understand. 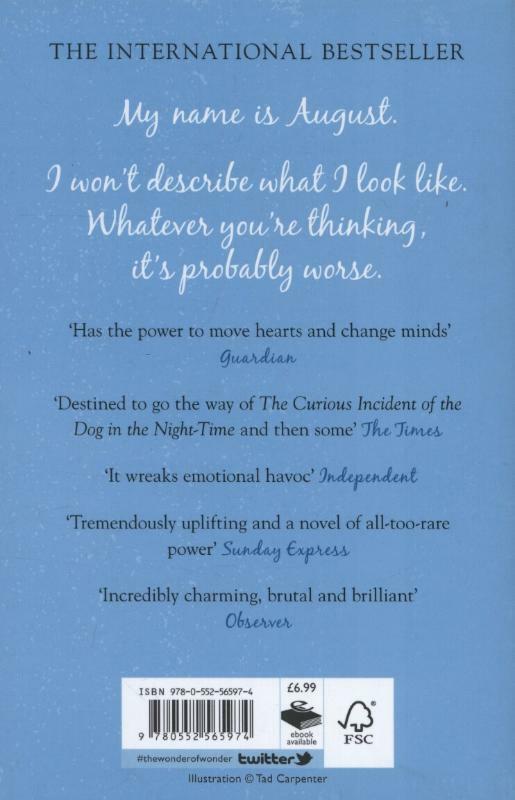 The book, wonder, can be enjoyed by children and parents alike and talks about a young 10-year-old's tryst with destiny. With a facial abnormality august wants only to be accepted and liked by his peers and how he goes about it.